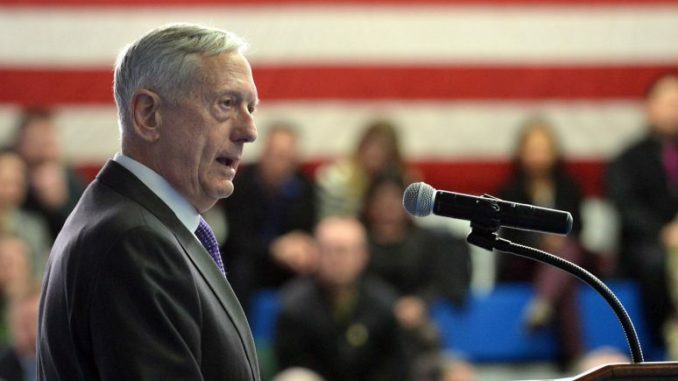 The Wall Street Journal reports that “Operation Faithful Patriot”, the deployment of nearly 8,000 troops to the border, has been renamed by the office of Secretary of Defense James Mattis. The deployment of active-duty troops to ports of entry in Texas, Arizona, and California will now be referred to as “border support”. The Pentagon confirmed the name change on Wednesday, although spokesman Lt. Col. Jamie Davis did not provide a reason for the change of the title which has been viewed to have political overtones in a heated election cycle. A defense official told CNN that “it couldn’t be denied” that the name “Operation Faithful Patriot” could be viewed to have political overtones. According to the Wall Street Journal, officials explained that one reason for the change is that the deployment, which is supporting another government agency, is not an “operation” in the usual sense of a combat mission. The name was first used by Gen. Terrence O’Shaughnessy, commander of the U.S. Northern Command and North American Aerospace Defense Command, on October 29 during a news conference, according to NBC. The policized name of the operation itself during the run-up to the Midterm elections and the subsequent changing of the name has led to questions about the labeling process. John Kirby, military analyst for CNN, noted that there is nothing wrong with the designation of “operation” in this case as there have previously been border support operations named by the military. For instance, under President George W. Bush, “Operation Jump Start” involved National Guard troops assisting the Border Patrol. Kirby told CNN “When you have a named operation it comes with funding protocols and the process is deliberate,” and that this name change will not alter the way the troops are paid or deployed. Kirby did question the timing of the name change, noting that changing the name two weeks later brings unnecessary attention after the negative reaction to it had subsided. He called it an “unforced error” by the administration. The decision to change the title to “border support” hours after the polls closed on Tuesday has served to highlight the contrast between the military’s expression of their mission and President Trump’s portrayal of their mission both prior to, and after, the Midterms. In the president’s press conference on Wednesday, Donald Trump pushed back when asked by reporters about his statements about immigration and the migrant caravan that he labels an invasion. He also told reporters that he does not regret sharing the anti-immigration ad that many consider to be the most racially charged ad since the 1988 Willie Horton ad. Secretary of Defense James Mattis told reporters “we don’t do stunts” when he was questioned last week by reporters about the deployment of troops. Whether politics played a role in his decision to change the name of “Operation Faithful Patriot” to the less flashy “border support”, or allowing it to be used in the first place, is unknown, according to CNN.